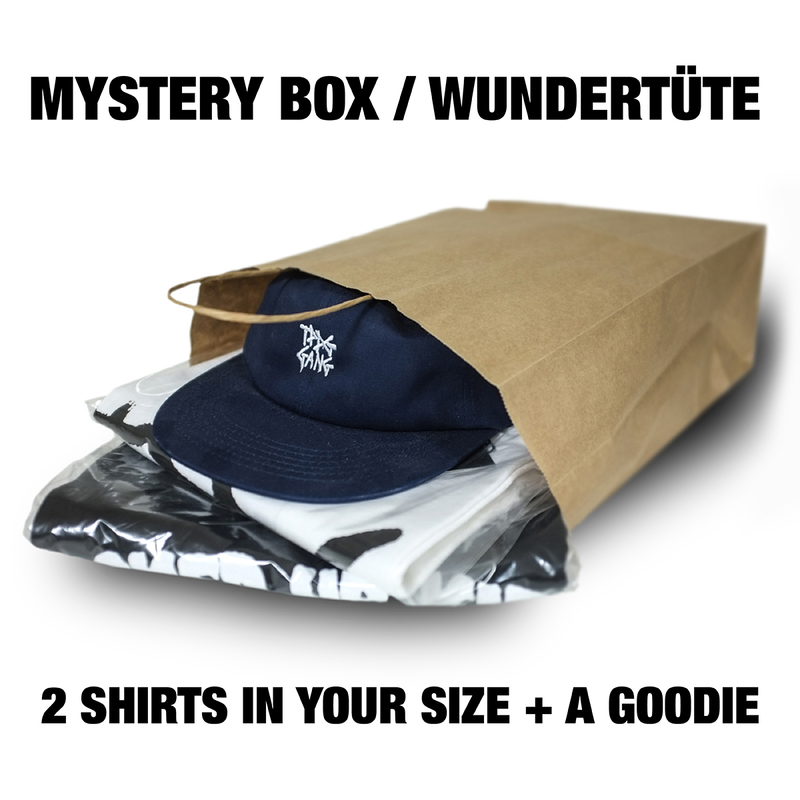 Special „MYSTERY PACK/WUNDERTÜTE“ – 2 unisex tees + a goodie on top – TPDG Supplies Co.
Each TPDG SUPPLIES CO. Mystery Pack/Wundertüte includes 2 unisex tees + a goodie on top! You choose the size, we choose the tees – you never know what you’ll get but the tee of your dreams could be in there! Items included in TPDG SUPPLIES CO. Mystery Packs/Wundertüte are NOT eligible for returns or exchanges. Requests for specific tees or multiple sizes within an Mystery Pack will not be honored. If you order multiple Mystery Packs, you may receive duplicate tees. Not valid with any other discounts or promotions.